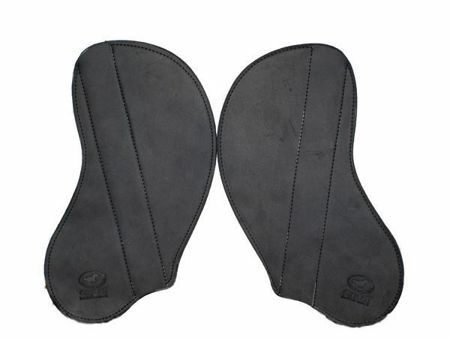 If you sometimes want the protection of a fender and sometimes want the freedom of riding with only a stirrup strap between you and your horse, the slip-on fender is a great option to save money as well add great convenience. 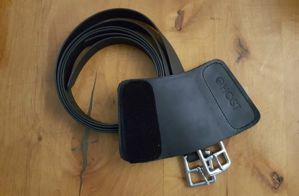 These fenders will work best with Ghost or other thin biothane stirrup straps, not thick leathers. Standard length of the channel is 14". If you need longer, you can use stirrup strap keepers to hold the fenders higher, or order a custom length. If you're short, contact me and we'll figure out if you need custom shorter fenders. 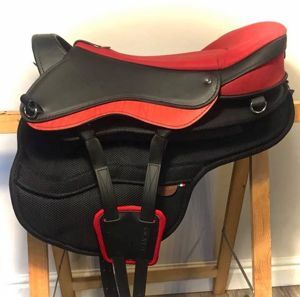 Match your saddle or have fun with a contrasting color. All saddle materials and colors are possible. Carry your saddle without stirrups banging into your shins! 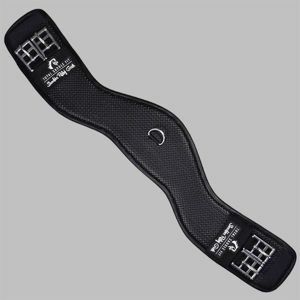 These nifty straps connect to the back dees and have a scissor snap so you can quickly secure your stirrups for saddling or carrying.